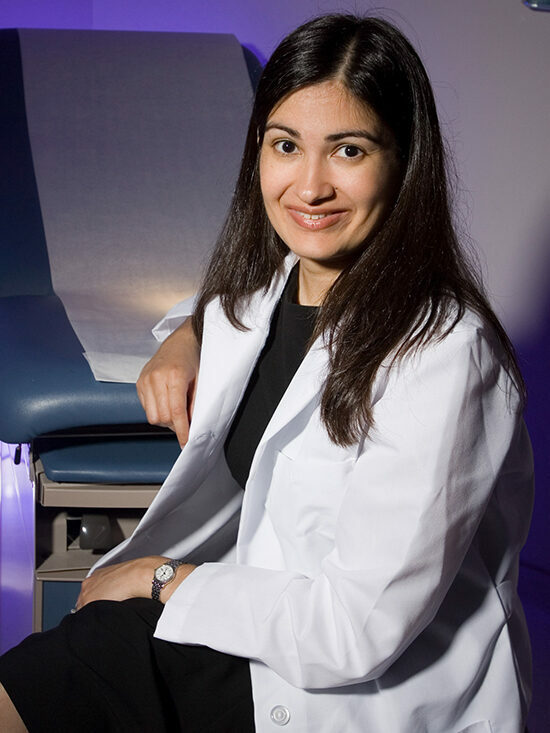 Reshma Jagsi is an Associate Professor and practicing breast radiation oncologist in the Department of Radiation Oncology at the University of Michigan. In addition to her medical training at Harvard Medical School, she has served as a fellow in the Center for Ethics at Harvard University and completed her doctorate in Social Policy at Oxford University. Dr. Jagsi’s research focuses on improving the quality of care received by breast cancer patients, both by advancing the ways in which breast cancer is treated with radiation and by advancing our understanding of patient decision-making, cost, and access to appropriate care. She is specifically interested in breast cancer patients’ access to information and decision processes regarding post-mastectomy radiation therapy, as well as the utilization of high-technology methods such as intensity modulated radiotherapy in treatment delivery. Dr. Jagsi is a growing national leader in the quality of radiation treatment for breast cancer. On the CanSORT P01, Dr. Jagsi leads the project, “Individualization of Locoregional Management for Early-Stage Breast Cancer”.